Add a scoop or (1) sachet of Resync to your tea to support your clean, deep energy. You can also mix Resync just with hot water, and make your own from scratch Resync “tea”. You can mix with cold water, too! 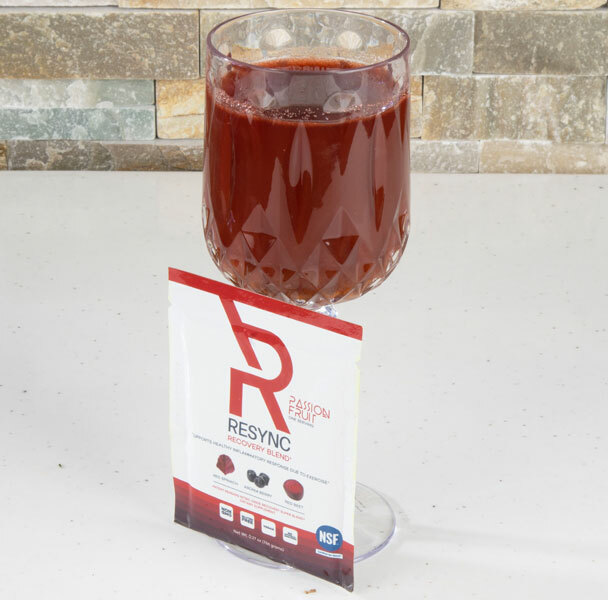 Our Resync powder dissolves smoothly in hot OR cold liquids. Simply enjoy this energizing juice for rest of your day. Do you like having a smoothie in the morning or post workout? 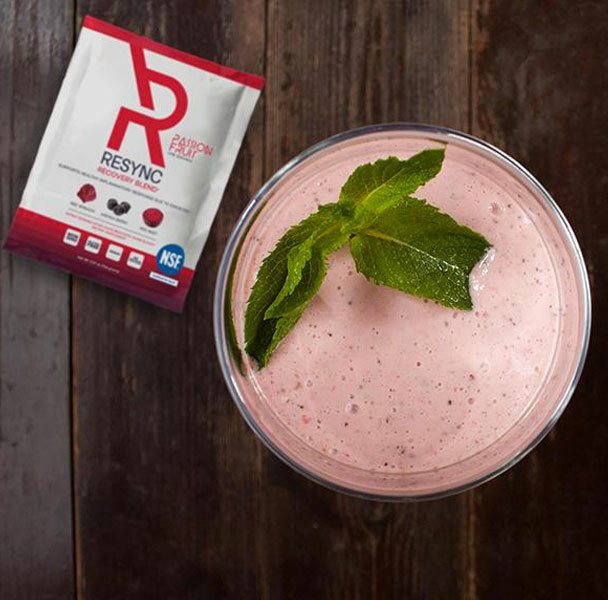 Regardless what part of the day, just add a scoop or (1) sachet of Resync into your mix – and you’re set. It works, even if you’re already adding protein powder to your smoothie. 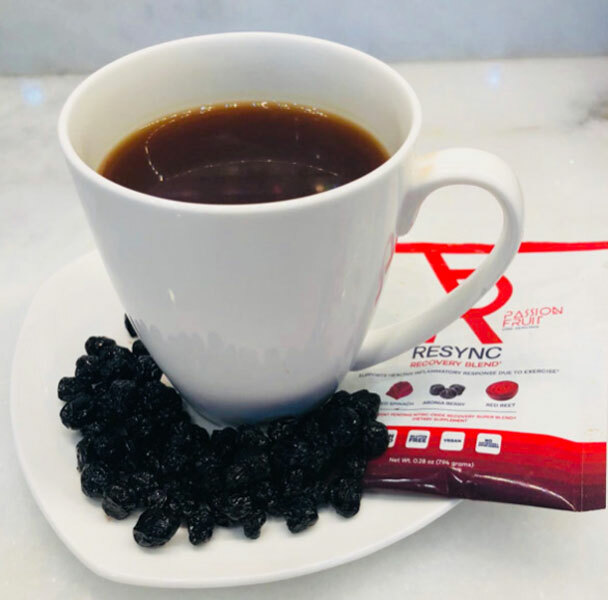 Please check our Resync Collagen Blend, if you would like to add 15 grams of hydrolyzed collagen peptides into your day with energizing natural nitrates and additional ingredients to support your energy and connective tissue health. *The above table was compiled with information from our competitor’s sites and/or their Amazon page on January 24, 2018. Red spinach (Botanical name: Amaranthus dubius) is a novel, natural supplement. It contains extremely high levels of vitamin E, iron, and phytoecdysteroids. It increases ventilatory threshold (enhanced breathing and lung capacity) and thus increases the amount of oxygen/air which lungs can hold and utilize efficiently. Additionally, red spinach increases the amount of oxygen to the brain which serves to lower levels of fatigue and stress. Finally, red spinach extract attenuates vascular motility (improves blood flow). Moore AN et al., 2017 Oct 16;5(4). pii: E80. doi: 10.3390/ sports5040080. Subramanian D, Gupta S., 2016 Jul-Aug;32(7-8):748-53. doi: 10.1016/j.nut.2015.12.041..
Aronia berry (chokeberry, Aronia melanocarpa) has been demonstrated to be one of the nature’s one of the most powerful antioxidants. The fruit is valued as a great source of antioxidants, especially polyphenols such as phenolic acids (neochlorogenic and chlorogenic acids). It additionally contains flavonoids (anthocyanins, proanthocyanidins, flavanols and flavonols), particularly cyanidin-3-galactoside and cyanidin-3-arabinoside, as well as (-)-epicatechin units. The berries of A. melanocarpa, due to the presence and the high content of these bioactive components, exhibit a wide range of positive effects such as strong antioxidant activity and potential medicinal and therapeutic benefits (gastro-protective, hepato-protective, anti-proliferative or anti-inflammatory activities). • Molecules Jurikova T et al., 2017 Jun 7;22(6). pii: E944. doi: 10.3390/molecules22060944. • Front Nutrition Banjari I et al., 2017 Nov 6;4:53. doi: 10.3389/fnut.2017.00053. Basically, in joints, hyaluronic acid acts as a cushion and as a lubricant. However, it plays multifaceted role in regulating various biological processes and maintaining homeostasis in the body. A significant volume of research exhibited the biomedical implications of HA in skin repair, wound healing, tissue regeneration, anti-inflammation, and immunomodulation. A thorough analysis of the literature revealed that HA based formulations (e.g., gels, creams, autologous graft, thin sheets, soaked gauze, gauze pad, tincture, injection) have shown remarkable efficacy in treating a wide range of inflammatory skin diseases. The safety, tolerability, and efficacy of HA have also been well-documented for treatment of various types of joint disease including knee osteoarthritis, joint osteoarthritis, canine osteoarthritis, and meniscal swelling. A remarkable improvement in chondrocyte density, territorial matrix appearance, reconstitution of superficial amorphous layer of the cartilage, collagen remodeling, and regeneration of meniscus have also been evident in patients treated with HA. Overall, application/administration of HA is a promising pharmacotherapeutic regimen for treatment of inflammatory skin and joint diseases. Red Beet (Beta vulgaris) has demonstrated potential benefits in health promoting and disease prevention as a novel functional food. It is a unique source of nitrate, and a promising therapeutic treatment in a range of clinical pathologies associated with free radical injury, oxidative stress, and inflammation. Beetroot ingestion provides a natural means of increasing in vivo NO availability and has emerged as a potential strategy to prevent and manage pathologies associated with diminished NO bioavailability, notably hypertension and endothelial function. Beetroot contains betalain pigments, displays potent antioxidant, anti-inflammatory and chemo-preventive activities both in vitro and in vivo. Research studies have demonstrated that beetroot supplementation prevents inflammatory responses and oxidative stress, and significantly improves cognitive and endothelial functions.